Hello everyone, my name is Sylvain Roucher. I’m the owner of HR ébénisterie, a small family wood working enterprise situated in the Alpine village of Le Versoud, 10km from Grenoble. Our business was founded in 1998 by my father Hervé Roucher. I’m trained as a mechanical engineer, so I’m familiar with CNC machinery. After obtaining my degree in mechanical engineering, in 1991 I decided that I’d like to work with my dad so I followed a training course in cabinetry and furniture building given by the Fédération Compagnonnique de Grenoble. 3 years later in 2002 I became general manager of HR ébénisterie. 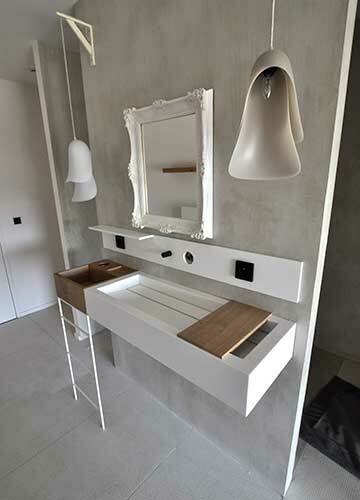 In the beginning our company was located in Grenoble and we built traditional cabinets and furniture. But in 2007 we managed to win an order for a big job building fitted cabinets for a major ski station situated in Tignes le Lac. This job required a significant amount of complex shaped board cutting so we decided to invest in a Homag CNC to help with the production. At the time this was a big investment for our company; CNC was not a common investment for small wood working companies in France. However, it turned out that this investment marked a turning point in our history and enabled us to progress into areas and propose products that we would never have been able to otherwise. When we first got our CNC things were quite difficult. As well as being a hefty investment that drained our financial resources, the machine took up a major part of our workshop floor space and it also took a substantial amount of my time and efforts to get everything set up and running. 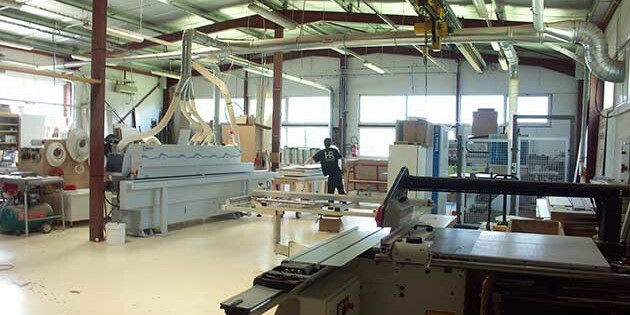 But once this somewhat difficult running in period was over our investment opened unforeseen doors and enabled us to get into markets and offer projects and products that as a small business we couldn’t have dreamed of doing before having a CNC. These new possibilities enabled us to increase our profits and in 2012, we moved from our smallish workshop in the centre of Grenoble to our present facilities base in the Versoud on the west side of Grenoble. 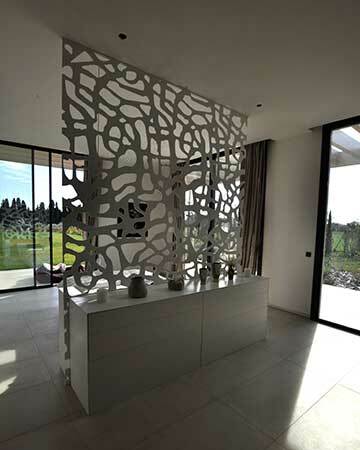 Today our CNC enables us to work not only with wood and wooden panels but we have also been able to create a whole range of cabinets and furniture using synthetic resins like Corian and Krion. 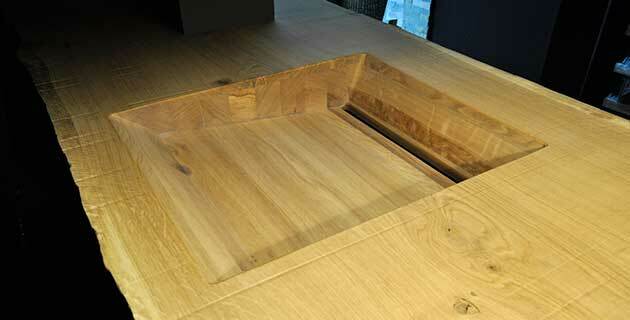 Coupled with our CNC machine, these materials have also enabled us to create and offer completely integrated wash basins, and sink units directly machined into worktops. 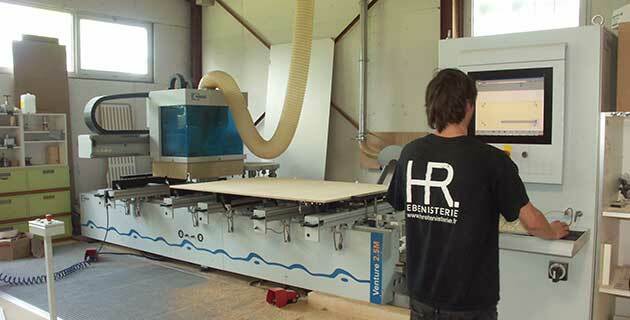 Here’s our current 4 axis Homage CNC that we use with the Polyboard furniture design solution and OptiCut. Ness lives quite close to our workshops and we have often worked together when we needed to design staircases. 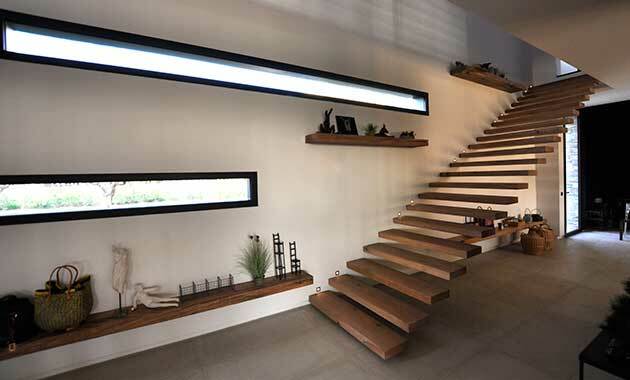 For several years we’ve used Wood Designer’s StairFile service to build stair projects using the StairDesigner plans and invaluable coaching for the design and build. 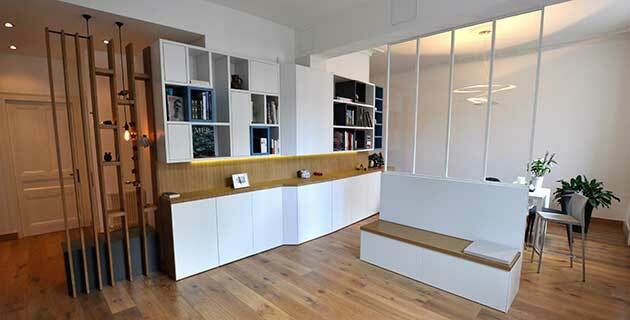 In 2013 to streamline our furniture manufacturing, following Ness’s advice, we bought Polyboard and OptiCut. These programs have helped us no end to speed up our design and manufacturing process. I can honestly say that Polyboard and OptiCut have divided our production time by at least 5 while making it possible to create price offers and 3D presentations in a couple of hours instead of days. Today we are 5 people working full time as well as my mum who helps us with the admin work and dad who still gives a hand around the shop. I can also say that we are now firmly convinced that CNC was the best way to go for our company and we have recently invested in another new 5 axis Biesse CNC. We will also soon be moving to another workshop with another 800m² of work space. To optimise the use of our investments and also to keep our business evolving, in partnership with Wood Designer Ltd we would like to share our resources and equipment by becoming a Wood Designer Partner Supplier. With our new 5 axis CNC we would like to offer machining facilities not only for furniture and cabinet builders but also for stairs. So if you need some top notch high tech machining facilities, don’t hesitate to contact us. With our experience in fitted furniture and cabinetry and Wood Designer’s experience in stair building, we can offer a real partnership to help you through any wood working project, no matter how big or complex. 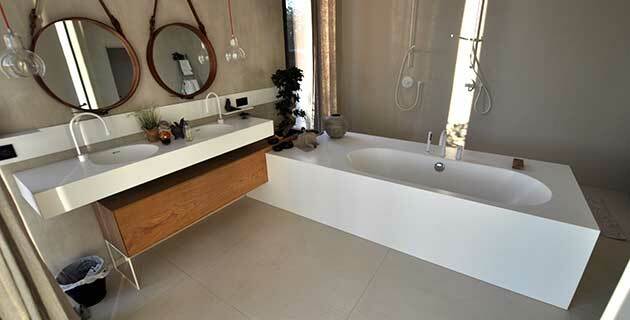 Don’t hesitate to come and see us or contact us by telephone or via Wood Designer. Sincere thanks to Sylvain for describing how his business works. Please let us know if you would like to discuss how Polyboard can help you. We can advise on the right optimisation software to go with it (whether cutting or nesting), and integration with your CNC facilities too. If you would like someone to cut and machine your parts, contact Sylvain or ask us details of a supplier near you. If you are thinking of investing in your own CNC machine, please talk to us first so we can point you in the right direction for your business. One solution does not fit all so it’s important to get the set up right for you. Hi been looking at your software but I don’t see how to use it on circled or round island builds.